There should be more transparency in the way web connection speeds are advertised in the UK, according to Plusnet, as those reporting inflated speeds will see a consumer backlash. Speaking exclusively to TechRadar, Nick Rawlings, commercial and marketing director of Plusnet, explained that even though it also advertises 'up to' speeds, it tries to give as much information to its users about what speeds they are really getting from the ISP. "The Ofcom code of conduct is a decent push in making retailers standardising what they can say to consumers about the speed of their service but Plusnet's point of view is that this needs to be pushed further," explained Rawlings. "In our standard practise, we give consumers a speed estimate, then another one 10 days later once their line is stabilised, to tell them what their actual line speed is. We do endeavour to go beyond the bill." 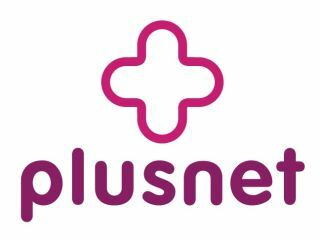 It is this type of service which meant that Plusnet that saw the company come second in a recent customer service survey, but this was marred with the fact that the ISP came bottom in an Ofcom speed test in July. Rawlings was quick to explain the Ofcom reports, noting: "Since the Ofcom survey, we have upgraded our entire portfolio to 20 meg which does show that speed is important to us. "Speed is an important facet and there is no dodging this is a key thing going forward but how we prioritise traffic on our network means the overall experience is better." Traffic 'prioritisation' is something of a dirty word in internet circles, but it is something which Plusnet is wholly positive about, explaining that it gives its customers a better service. "Plusnet's philosophy is to broadcast information which potentially gives other operators sweaty palms, like how we prioritise traffic on our network," noted Rawlings. "This is a sensitive subject for some ISPs but something we have been doing for a long time. "By giving consumers this sort of information it empowers them to make informed decisions about what they want from their broadband." Plusnet, according to Rawlings, differentiates from different types of web uses rather than households to make sure everyone gets a good service. "If you want to download a large file it is true we will prioritise other traffic at peak times because it is a non-time critical event," said Rawlings. "Equally, we will give you unlimited usage overnight to download large files when we have plenty of bandwidth available on the network. "We make this completely clear on our website; we have a product by product profile of what we prioritise per hour on the network. "It means that we can give a consistent user experience rather than one which is peaky. "For example network prioritisation works if you live next to 16 year old who is downloading the whole of the internet, as it means you will still be given a decent service. It is a good way to democratise the service." False advertising of speeds is something which the ASA is cracking down on, with the agency recently banning a BT advert for its reporting misleading web speeds with its 'up to 20 meg' promise. As BT is Plusnet's parent company, the ISP is monitoring the web speed situation closely. "It is ludicrous that another provider [not BT] is advertising a product that's exactly the same as ours as 24 meg when it clearly isn't, but if you are not honest about your speeds and your speed expectations, then you will get burnt in the end," explained Rawlings. "Honesty and transparency on speeds is vital and this needs to be sorted throughout the whole of the industry."